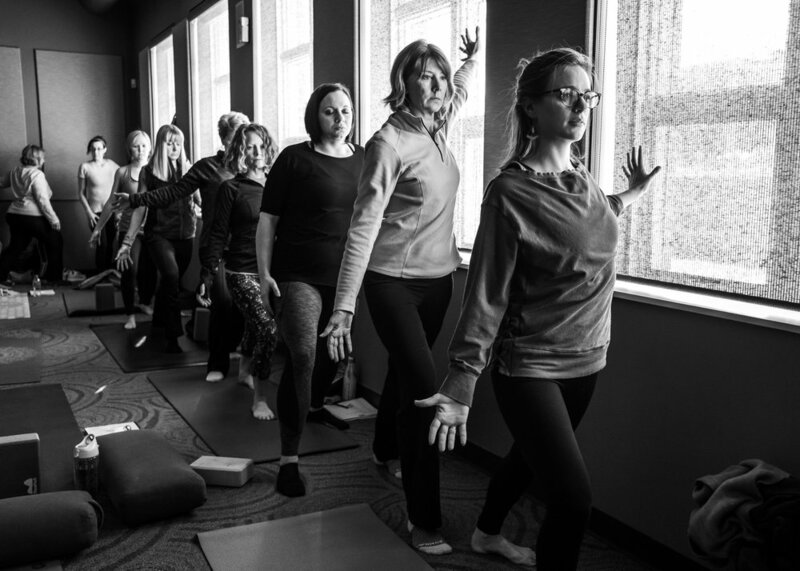 Our Level 1 training blends hands-on and didactic material to empower yoga teachers, clinicians, and yoga practitioners with new skills, knowledge, and confidence to make yoga accessible to the TBI community. This training is also geared towards yoga studios and their teachers who have been accepted into our network of partner yoga studios and will offer the LYB Yoga program to their community in the longer term. Yes. A certificate of completion also requires reading Traumatic Head Injury: Cause, Consequence, and Challenge (aka “The Red Book”), and completing an assessment. $385 and hosting a donation-based class or event within one year to raise awareness about TBI and funding for our free yoga program for the TBI community. If possible, we encourage you to host it during our national fundraiser, MindfulMarch, during Brain Injury Awareness Month. Do I need to be a yoga teacher to take this course? How is this different from the LoveYourBrain Yoga training for health professionals? 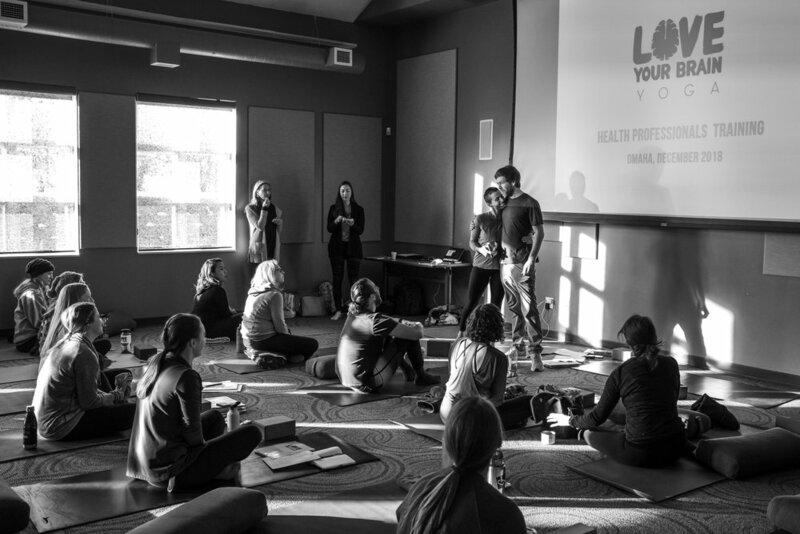 "The collaborative nature of the LYB yoga teacher training program was invaluable. 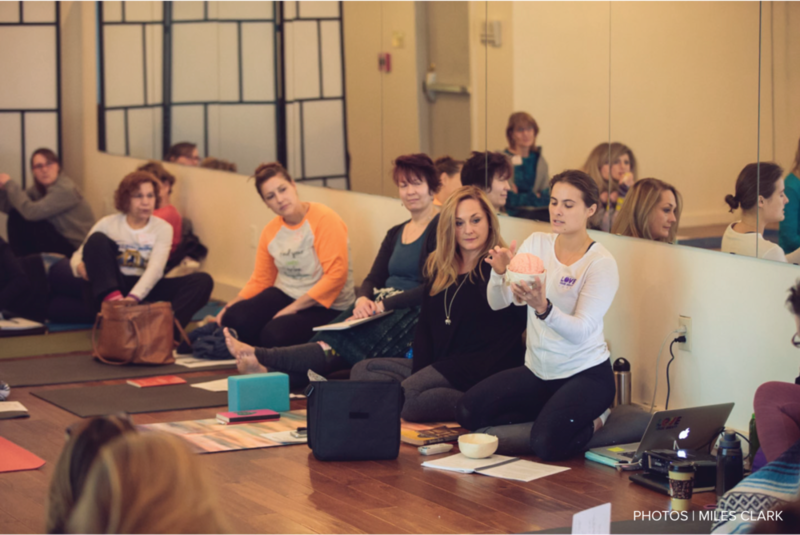 Being able to participate in the training with the yoga teachers gave me a better understanding of what my clients will be doing, how to communicate the benefits of the program, and how to identify which client would be a good candidate. Kyla did a wonderful job presenting on the impact of TBIs, and the brain education portion of the course was a nice refresher for the clinicians. 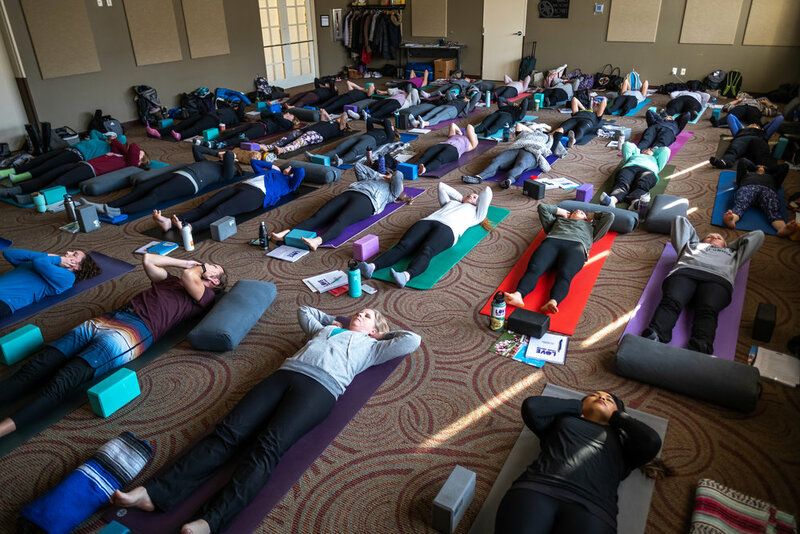 I think it is important for all of us as clinicians to educate our clients on the benefits that yoga and meditation can have on their healing process."